If you have any comments or suggestions, we would be pleased to receive them at our address or by emailing us at katrina.com.my@gmail.com. KATRINA FASHION does not sell, share or trade customers personal information collected online with third parties. When you register as a user on KATRINA FASHION website, we will also use your personal information to send you marketing and/or promotional materials from time to time.You can unsubscribe from marketing information at any time by using the unsubscribe function within the electronic marketing material. 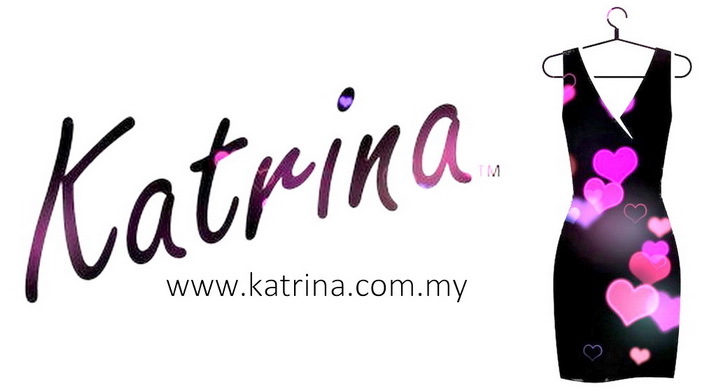 You can update your personal information anytime by accessing your account on KATRINA FASHION website. We will not share your information with any other organisations other than those third parties directly related to the delivery of the products you have purchased from KATRINA FASHION website. In exceptional circumstances KATRINA FASHION may be required to disclose personal information, such as when there are grounds to believe that the disclosure is necessary to prevent a threat to life or health, or for law enforcement purposes. KATRINA FASHION is committed to complying with the PDPA (Personal Data Privacy Act 2010) and the National Privacy principles. If you believe that your privacy has been breached by KATRINA FASHION please contact us at katrina.com.my@gmail.com and we will resolve the issue. KATRINA FASHION also uses Remarketing with Google Analytics to advertise online; third-party vendors, including Google, may show KATRINA FASHION ads on sites across the Internet. KATRINA FASHION and third-party vendors, including Google, use first-party cookies (such as the Google Analytics cookie) and third-party cookies (such as the DoubleClick cookie) together to inform, optimize, and serve ads based on visitors’ past visits to KATRINA FASHION, as well as report how ad impressions, other uses of ad services, and interactions with these ad impressions and ad services are related to visits to KATRINA FASHION. KATRINA FASHION reserves the right to modify and change the Privacy Statement at any time. Any changes to this policy will be published on our site. If you are not satisfied with the way in which we handle your enquiry or complaint, please don't hesitate to contact us at katrina.com.my@gmail.com.